P.T. is a clever marketing tool for Silent Hills that also happens to be one of the scariest experiences of the year in any medium. 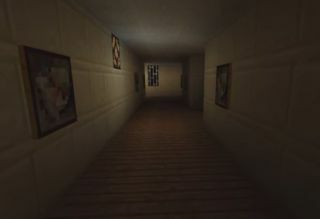 You wander down a repeating corridor as tiny details change in spooky ways. There are also ghosts, and messages scrawled in blood on the walls, and weird baby noises. It isn't available on PC, but FEAR NOT, for internet rule #546 applies: if it exists, someone's built it in Minecraft. The faded photographs of a (probably) dead family have been replaced by flowers, and the heavy breathing and faint crying of the original P.T. have been replaced by the distant bleating of sheep. Amusing and adorable.